It might be one of nature’s most agile and calculating hunters, but the wolf spider won’t harm an insect that literally leaves a bad taste in its mouth, according to new research by a team of Wake Forest University sensory neuroscientists, including C.J. “Jake” Saunders. Saunders presents the team’s findings this week at the Association for Chemoreception Sciences (AChemS) annual meeting in Bonita Springs, Fla.
Scientists have known for some time that certain insects produce chemicals that irritate the mouth or skin of the mammals or birds that try to eat them – but they didn’t know if those insects caused the same reaction in spiders. So Saunders and his colleagues painted the legs of wolf spiders with one of three common chemical irritants and watched how the spiders reacted. Exposure to capsaicin (found in chili peppers) made no difference and menthol (found in mint leaves) only caused a small difference. But when exposed to allyl isothiocyanate (AITC), the active ingredient in mustard and wasabi, the wolf spider couldn’t remove it fast enough. 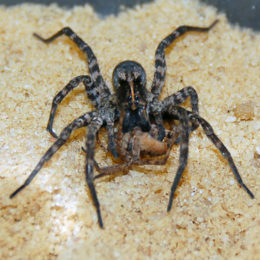 Similarly, when a wolf spider bit into a cricket that had been dunked in AITC, the spider dropped it. An insect’s chemical defenses against predators work by modulating the transient receptor potential (TRP) channels in the predator. TRP channels activate sensations such as pain and taste. 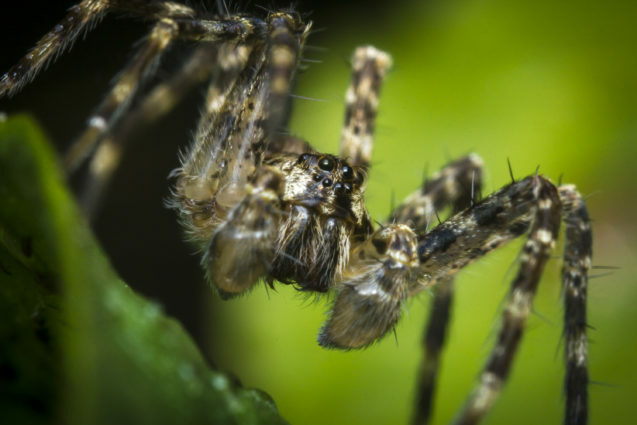 When the researchers sequenced the wolf spider’s brain cells, they found the same molecules that are activated in humans in response to an irritating chemical exposure. The research team for “Chemesthesis and TRP Channels in the Wolf Spider” includes Wake Forest Director of Microscopy Glen Marrs and associate professor of biology Erik Johnson, plus undergraduate research students Hayden Graser, Nandan Patel, Du Gu, Crawford Tanner, McKenzie Needham and Lydia Faber. “Evidence for TRP Channels in the Earthworm” – The European night crawler will withstand only certain amounts of the chemical irritants allyl isothiocyanate and menthol in their soil before trying to escape. The addition of capsaicin had no effect. Researchers: Karleigh Smith, Eileen Reed, Glen McKinney, Sophie Gonzalez, Patrick DeZego, Emily Adams, Elizabeth Woollen, Jessica Sarver, Isla Bint, Ione Johnson, C.J. Saunders and Wayne Silver. “Interaction of taste and smell on perception of sweetness in honeybees” – Do honeybees use a combination of taste and odor to find the sweetest nectar? 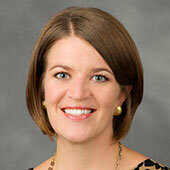 Research team: Allyson Pel, Stephanie Hathaway and Susan Fahrbach. “DASPEI Imaging: In Search of Earthworm Chemoreceptors Using a Live Cell Dye” – Using fluorescent dye is a new way to detect how earthworm cells react to chemical stimuli. Research team: Eui Kim, Eileen Reed, Glen Marrs, C.J. Saunders and Wayne Silver.